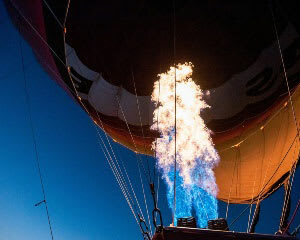 Hot Air Balloon Ride, 30 Minutes - Gold Coast - FREE UPGRADE TO 60 MINUTE FLIGHT! FREE UPGRADE! PAY FOR 30 MINUTES - FLY FOR 1 HOUR! The hot air balloon ride begins with a briefing by the pilot before you head to the launch site and, if you like, help prepare the hot-air balloon for flight. Then you'll be drifting gracefully over the countryside. The hot-air ballooning flight itself will last around 30 minutes. So amazing. Want to do it again. Well organised , amazing experience. The company was lovely to work with and were customer focused.